Richard Wilkinson has played a formative role in international research on the social determinants of health. He studied economic history at the London School of Economics before training in epidemiology and is Professor Emeritus at the University of Nottingham Medical School and Honorary Professor of University College London. Kate Pickett is Professor of Epidemiology, Research Champion for Justice and Equality and Deputy Director of the Centre for Future Health at the University of York. She studied physical anthropology at Cambridge, nutritional sciences at Cornell and epidemiology at the University of California, Berkeley. 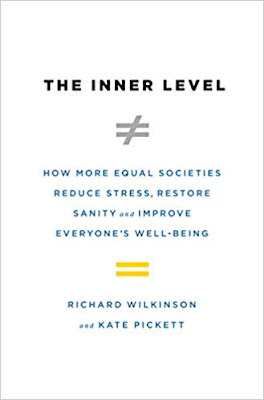 These noted epidemiologists put inequality at the center of public debate in their 2010 book The Spirit Level by showing conclusively that less equal societies fare worse than more equal ones across everything from education to life expectancy. Societies with bigger income differences between rich and poor become socially dysfunctional. It was named one of the Top Ten Books of the Decade by the New Statesman, and was shortlisted for Research Project of the Year 2009 by the Times Higher Education Supplement. Wilkinson and Pickett founded the Equality Trust, which seeks to promote public understanding of the effects of inequality. 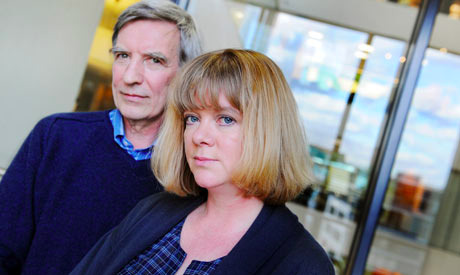 Richard Wilkinson and Kate Pickett. 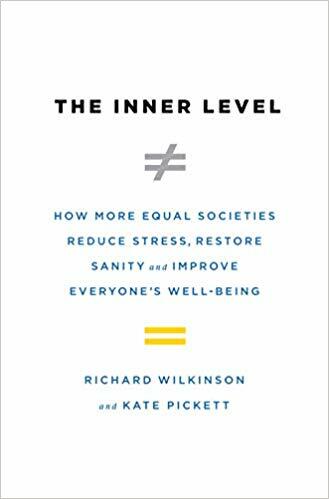 In their new book, The Inner Level, Wilkinson and Pickett reveal the profound physical and psychological damage caused by inequality. They feel it makes societies more antisocial, weakens community life, and leads to higher levels of stress and mental illness, and that it does not just happen to the poor. Every step down the ladder is associated with worse health. They examine how inequality affects us individually, altering how we think, feel and behave. It sets out the overwhelming evidence that material inequities have powerful psychological effects: when the gap between rich and poor increases, so does the tendency to define and value ourselves and others in terms of superiority and inferiority. Whether we accept inferiority, struggle for respect, or assume superiority over others, these responses are linked to mental problems, including depression narcissism, and a decline in empathy, which are more common in unequal societies. Feelings of low self-esteem and lack of confidence can cause intense psychological suffering and contribute to rising levels of depression and self-harm. A deep well of data and analysis is drawn upon to empirically show, for example, that low social status leads to elevated levels of stress hormones, and how rates of anxiety, depression and addictions are intimately related to the inequality which makes that status paramount. There is a lot of new data that has been released in the eight years since The Spirit Level was published which shows that inequality has has made us ever more fearful of how we are seen and judged by others. That has increased social anxiety and made social life more stressful. The quality of social relationships and community life is crucial to our health and wellbeing. When these foundations crumble, the additional stress puts our physical and mental health at risk. Some of the questions Wilkinson and Pickett ask include: Why are people more relaxed and at ease with each other in some countries than others? Why do we worry so much about what others think of us and often feel social life is a stressful performance? Why is mental illness three times as common in the USA as in Germany? Why is the American dream more of a reality in Denmark than the USA? What makes child well-being so much worse in some countries than others? As The Inner Level demonstrates, the answer to all these is inequality. They describe how these responses to hierarchies evolved, and why the impacts of inequality on us are so severe. In doing so, they challenge the conception that humans are inescapably competitive and self-interested. They undermine, too, the idea that inequality is the product of “natural” differences in individual ability. Low social status stunts ability while inequality creates greater differences in educational performance and thus reduces social mobility. The Inner Level draws together many of the most urgent problems facing societies today, but it is not just an index of our ills. It demonstrates that societies based on fundamental equalities, sharing and reciprocity generate much higher levels of well-being, and lays out the path towards them. The data shows that, for people in less-developed countries, where many do not have access to basic needs, economic development and rising material standards continue to be important drivers of well-being. In rich nations, after basic needs are satisfied, there are only diminishing returns to further increases in income. Wilkinson and Pickett explain the link between inequality and the consumerism that contributes to global warming. They argue that greater equality is a precondition for tackling wasteful consumerism an moving towards environmental sustainability. The authors argue that we need to shift our thinking about the value of innovation. Rather that consuming more and running faster on the virtual hamster wheel, we should use the time that's freed up by higher productivity to spend with friends, family, or community or doing what we enjoy, activities which are proven to make a major contribution to well-being. The Inner Level is one of the most detailed works you will read about our changing world and how it takes just one person to start a movement in a community.